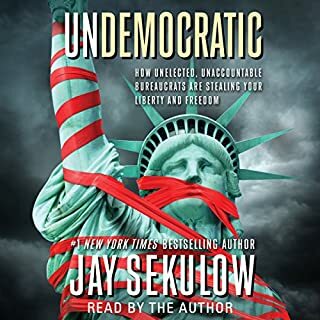 Mr. Sekulow makes a fair and sound accounting of the duplicity in the Left - i.e. democrats and socialists. It is no longer a party of democracy where law is the rule, but rather a party of Bureaucracy with rules that they apply like a 5th grader playing soccer. If the rule is in their favor they advance it using hate and fear against opposing view points. If it is not in their favor, they subvert the law (rule) and violate their own principles to advance their message of hate against anything not in their favor. You might need to take breaks from the content because the duplicitous acts of the left eat at your heart of liberty, justice, and freedom. Politics in America are polarized and trivialized, perhaps as never before. 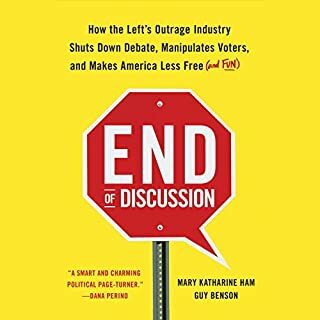 In Congress, the media, and academic debate, opponents from right and left, the Red and the Blue, struggle against one another as if politics were contact sports played to the shouts of cheerleaders. 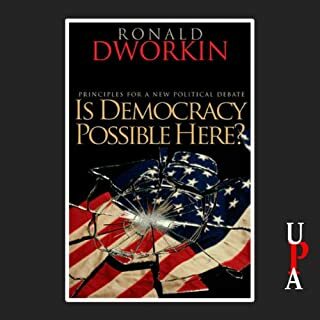 The result, Ronald Dworkin writes, is a deeply depressing political culture, as ill equipped for the perennial challenge of achieving social justice as for the emerging threats of terrorism. Can the hope for change be realized? Would you try another book from Ronald Dworkin and/or Michael Kramer? What was most disappointing about Ronald Dworkin’s story? No clear argument. So ideological that he can't even see that it is ideological. Dworkin takes it for granted that his perspective is correct simply because it is his. He does not seek arguments against his position and therefore makes no sound argument FOR his position. Considering he titled the book with a question, one expects a deliberated, clear and supported argument. I can't find it without extreme efforts toward bypassing his ideology to get to the meat. Mr. Kramer did a good narration EXCEPT for way too much hissing on his "s" sounds. For those who are affected by such white noise the way I am, he just puts you to sleep. What character would you cut from Is Democracy Possible Here?? What disappointed you about Song of the Sun? No chapter or section breaks. Audio only! No text available to aid in establishing structure or organizing content. No way to interrelate content. 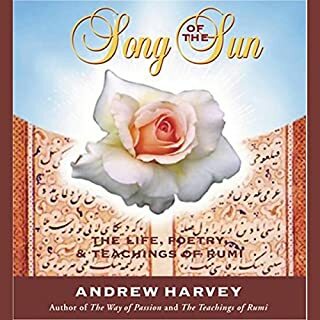 Would you ever listen to anything by Andrew Harvey again? In defense to the narrator - it is a good effort at being calming and serene. However, the style, while appropriate for the content, is not appropriate for all of the content TOGETHER. A wise person would have designated 2 narrators to establish some change-up and reduce monotony. But again, this is not on the narrator. This is the producer and writer's responsibility to see the work through to a good end product. NONE - good content is not retrievable. It lacks structure to make what could be otherwise retrievable into useable content. Unredeemable! 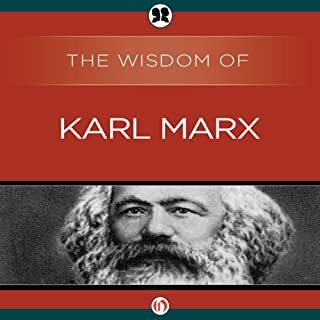 Only Liberals, Progressives and Leftists that are intellectually dishonest idealogues who demonstrate that they are incapable of tolerating diversity would like this book. What could Carl T. Bogus have done to make this a more enjoyable book for you? 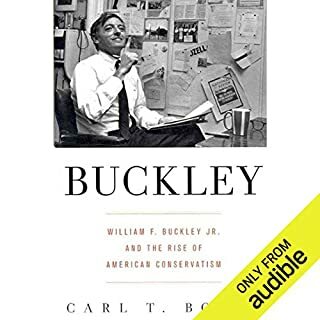 Instead of lampooning Buckley with ideological bias he could have stated the case from Buckley's side and then stated the case from his own bias view; and with that he could have showed how he was right. As it stands however, Mr. Bogus is simply advancing unsound ideology against a well respected man who has sadly passed. The content will only aid those on the left who want to follow as mind-numb robots regurgitating unsupported ideologic rhetoric. Would you be willing to try another one of Mark Ashby’s performances? What character would you cut from Buckley? What disappointed you about No god but God? Reza writes of Islam the way good people want it to be exercised and applied. No problem there! But he states the aspects of historic Islam - of which radicals use to advance violence - only to arrive at a pathetic attempt to dismiss those historical aspects by means of unsupported and unsound reinterpretation. While the approach is likely welcomed by those who wish to see ONLY good, the approach does absolutely nothing to reduce or weaken the arguments made by violent radicals. Violent radicals get to maintain their credibility by maintaining their historical arguments. Reza is simply expressing a DESIRED interpretation of Islam. 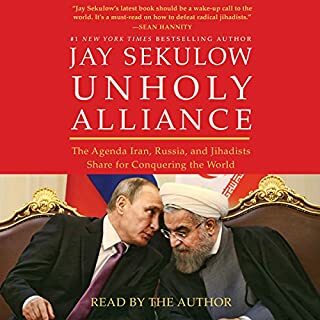 He does nothing to weaken the radical arguments, and, therefore, he is simply cloaking the historical Islam as a wholly peaceful religion WHILE providing those violent radicals cover form the open exposure that they deserve. 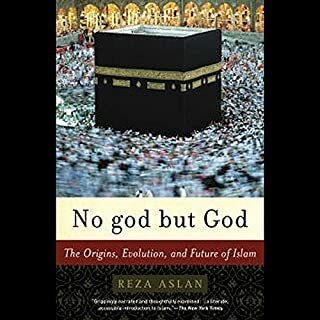 Would you ever listen to anything by Reza Aslan again? What character would you cut from No god but God? Strawman arguments - which requires deletion of far more than half the content.